If you're thinking of buying a bakery, read this to find out more about this sector! Australia’s baking industry is comprised of three sectors: bread, biscuits, and cakes and pastries. 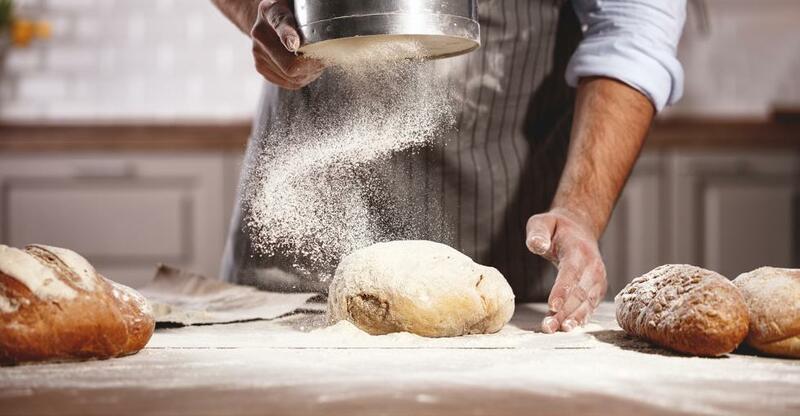 The bread and bakery sector brought in a revenue amount of $7.95 billion in 2018, and the market is expected to grow annually by 3.1% (CAGR 2018–2021). Last year, an estimated 13.9 million of us ate some kind of bread each week. In 2016, nearly 11 million Australian grocery buyers purchased bread in any given seven-day period, spending an average of $11.40 each—or $124.5 million all together. The bakery industry is going through a significant period of change. In the past, the average family would purchase a few loaves of factory-produced white bread once each week. Now, consumers are seeking a wider range of freshly baked bread, including sourdough, ciabatta, brioche, and baguettes. In addition, even though overall bread consumption has declined, Australians are actually spending more on high-quality fresh bread and baked goods. This is in large part due to the rising desire for healthy food options. Bread lovers still want their baked goods, but they want them to be as nutritious as possible. Therefore, the demand for wholemeal, seeded, gluten-free, vegan, and other healthy breads is increasing at a steady rate. Artisanal products contributed more than 50% to sales in the majority of baked goods categories including flat bread, leavened bread, cakes, and pastries. In line with the rising health demands, products with high fibre, as well as those that include fresh and whole grains are growing in popularity. Australia’s appetite for organics is at an all-time high. Consumers believe that organic ingredients make food taste better, and they’re convinced that organic farming principles can reverse environmental degradation and address climate change. Are You Ready to Buy a Bakery? Loyal customer base - All it takes is one mouth-watering bite, and your customers will be coming back for more. As long as you keep your quality consistent, you’ll establish a base of local customers who will frequent your business and spread the word to others. Growing need for niche bakeries - Celiac disease and gluten intolerance have become a growing problem. With a bakery, you can meet local niche needs like serving multiple gluten-free products to establish an instant business relationship and brand loyalty. Potential for quick profit - The smell of baked goods is a temptation like no other, compelling potential customers to come inside and satisfy their cravings. If you have a cost-effective location with easy street access and good visibility, you can be on your way to a growing, successful business. Multiple levels of compliance required - Because you’re selling food products, there will be regular health and safety inspections at your bakery. Not every business faces such intense scrutiny, so be aware of this before starting your business plan. Pricey ingredients - You’ll need daily cash on hand to buy expensive ingredients. Plus, there’s no guarantee you’ll sell the majority of your baked goods each day. You could be out a lot of inventory without revenue and still need money to buy more ingredients. Irregular working hours - If you want to serve fresh baked goods for the morning commute at 6:30 a.m., then you’ve got to be baking by 2:30 a.m. This means you’ll have to go to bed when everyone else is spending time with their family and friends. IBISWorld has determined the most important success factors in the bakery industry are having a clear market position, offering goods in high demand by consumers, being located in an ideal location, and nurturing a loyal customer base. If you’re ready to start whipping up some business at your own personal bakery, click here to see the full listing of available bakery purchasing opportunities. All monetary amounts mentioned in this article are in AUD.